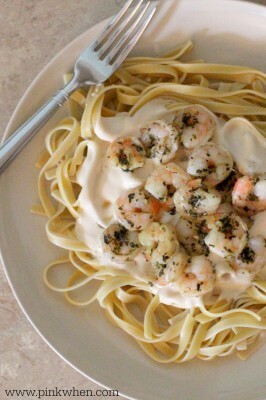 I am such a huge fan of a good creamy Alfredo sauce, and this recipe makes a good one! Being a seafood lover, I always try and add something in to give it a little kick. With a well-seasoned shrimp, this dish is a crowd pleaser in our house. 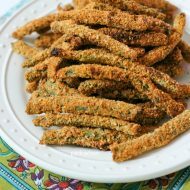 This dish can actually be versatile as well. You can always substitute chicken for the shrimp if you don’t have any seafood fans in the house. 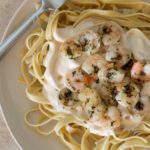 For this recipe, I am going to share this amazing flavored shrimp that will turn this dish into one of your favorites. Step 1: Bring a large pot of water (lightly salted) to boil and add the fettucini noodles, cooking for 8 – 10 minutes and stirring occasionally. Step 2: In a pan heat up half and half, butter, and add in parmesan one tbsp at a time. Do NOT bring to a boil. Add in parsley and salt to taste. Allow it to thicken as desired. Step 3: Place basil, marjoram, oregano, rosemary, and thyme in a small dish and mix well. Place shrimp on a small plate and coat well with seasoning. Step 4: Heat the 2 tbsp olive oil in a small skillet and lightly saute the shrimp, adding extra italian seasoning if needed. Step 5: Drain noodles and place on a plate. Cover with Alfredo sauce and top with seasoned shrimp. Serve warm. 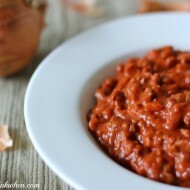 This is such a YUMMY recipe. Sure, you have a few ingredients you will need to use when making this, but sometimes these are the meals you will THOROUGHLY enjoy. This recipe is so creamy, full of flavor, and a total family pleaser in this house. 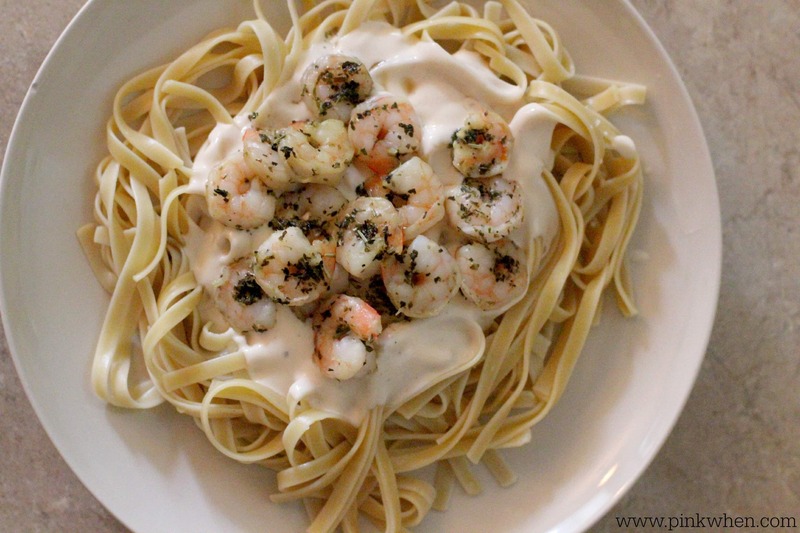 I hope you try this delicious Creamy Alfredo and Shrimp Pasta and love it as much as we do. If you do, you may also want to check out this delicious Crawfish Etouffee Recipe or Turkey Pot Pie Recipe. 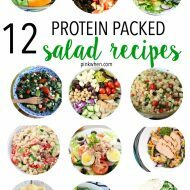 If those sound amazing, you can click here and find all of our recipes. 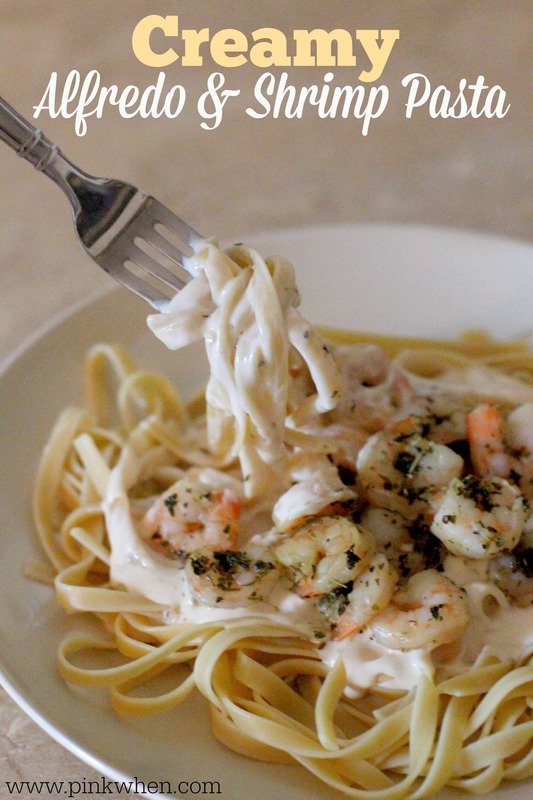 This creamy shrimp alfredo will be one of your new favorites! It's comfort food at it's best. Bring a large pot of water to boil. Add fettucini noodles and cook until al-denté. In a medium pan warm the half and half, butter, and add parmesan one Tbsp at a time. Place basil, marjoram, oregano, rosemary, and thyme in a small dish and mix well. Season the shrimp. Heat the olive oil and lightly sauté the shrimp. Add extra seasoning if desired. When heating the sauce in step two, don't bring the mixture to a boil. I’d probably have to substitute chicken in this house but I can almost taste the sauce! My kids are going to love this! Alfredo AND shrimp together…this is one dish I won’t have to beg them to eat! Yum! How well do you think this would freeze? I am not sure…I would check guidelines and freeze it according to those. I would assume no longer than 30 days. This looks delicious!! I am a sucker for good alfredo. Just pinned it!! I’m trying the recipe now. Your directions do not include when or where to add butter. Thanks. In step 2, I have added that. Thanks for letting me know!